Should You Remove Your Hat When Going Indoors? Should You Remove Your Hat When Indoors? When a Gentleman Should Remove His Hat...or Should He at All? Back in the day, men were taught to remove their hats as soon as they crossed the threshold of a house or public building, and ladies were to remove theirs if they obstructed someone's view. There were very few exceptions to the rule, so it was easy to know what to do. It seemed like a good policy back then because it was practical, and in some cases it still is. Whether or not you think it is an outdated rule, it's nice to show respect for people who still follow it. The world has become more casual over time, and even though hats aren't necessarily a problem, it's never wrong to remove them when going indoors, especially when you're in the presence of someone from a generation when that was the thing to do. Most people have accepted indoor hat-wearing, but there might be some old-fashioned people who are appalled. Whether you're at a lively basketball game or a traditional church service, know the good, old-fashioned hat guidelines, and if you're not sure what to do, fall back on tradition out of respect for others around you. I love my grandson with all my heart, but when I see him walking around indoors with his hat on, I'm embarrassed. Back in my day, men were supposed to remove their hats out of respect. What does this say about the young people of today? All men, including your grandson, should learn proper hat etiquette – when to take them off and when it's okay to wear them indoors. What you learned is still appropriate, so it's time to share the old rules that we can both hope will be brought back. Hats were originally designed to keep the head warm, protect it from the sun, and keep the dust out of his eyes. They were removed when the man went indoors to prevent the dust on the hat from getting on the furniture and floor of the house. Now hats are as much a fashion statement as they are practical. Even so, there are some places a man might want to think about removing his hat. This includes dress hats, knit hats, berets, beanies, and sports caps. In someone's home – Any time you visit the home of a friend or family member, take off your hat at the door. Keep your hat off until it's time to leave. If you have a habit of leaving it on all the time, work on breaking it at home. Find a place near the door where you can place your hat. That will help you remember, and you're less likely to lose it if it's always in the same place. In a public place – This includes restaurants, malls, schools, offices, church, and any place where you'll see other people. There is nothing wrong with wearing a hat indoors if it's required, such as a hard hat at a construction site. During the "National Anthem" – The hat must be removed and held until the anthem is over. This rule applies both indoors and outside. You might wonder, after reading that list, if it's ever okay to wear a hat. The answer is, yes, of course it is. This may sound like a double standard, but women have had a completely different set of rules for wearing hats - at least in the past. Women could always pretty much get away with wearing a fashion hat whenever they want, as long as it doesn't obstruct someone's view or interfere with work. However, the men's rules for sport caps apply to women. Ladies, if you want to wear a baseball cap, take it off when you are indoors and during the "National Anthem." 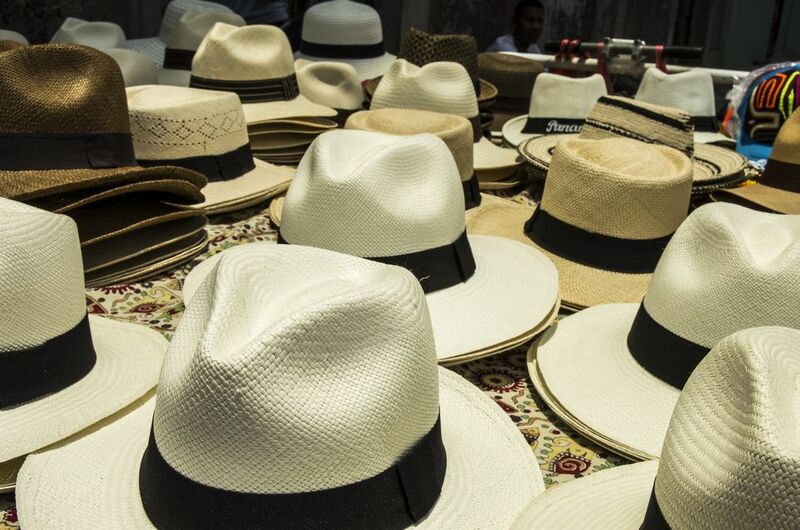 Hats have been around for centuries, so they come with quite a bit of history. Maybe learning a few things about your headwear will make you see it in a totally different light. To don a hat is to put it on. To doff it is to take it off. The phrase "Mad Hatter" came from the time when hat makers handled mercury and other toxic chemicals that affected their nervous system and often caused early dementia. National Hat Day is January 15. This is the time to don your favorite headwear in celebration of the hat. The first time a top hat was worn in public in the late 1700s, people were appalled and started a riot because it broke the rules of the day. Hat etiquette rules have faded but not disappeared for some people, and there are formal scenarios where the old guidelines still apply. Although knowing when and where to wear a hat won't bring world peace, it will help bring back some semblance of social propriety that will cross over into other aspects of our lives. Parents, if you want to pass along old-fashioned values, teach your children hat etiquette and reinforce it by setting an example. The rules may seem silly, but they offer an excellent show of respect for society. Ask any southern belle about hats, and she'll tell you that wearing them is a privilege that shouldn't be taken lightly. Wearing a hat or cap carries some responsibility, and that includes knowing when to take it off.